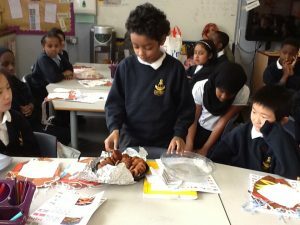 For the first half of the summer term, Year 3’s topic focus is called ‘Scrumdiddlyumptious’. This topic is based around food and we’re going to enjoy a yummy journey of discovery, sampling fantastic fruits and tantalising treats! 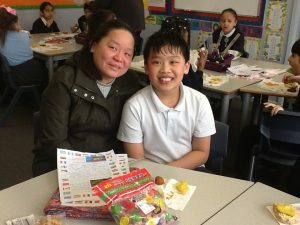 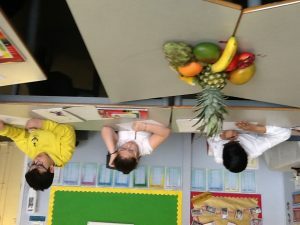 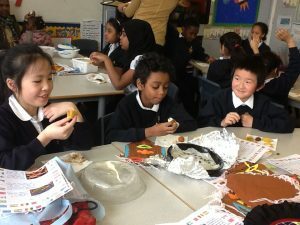 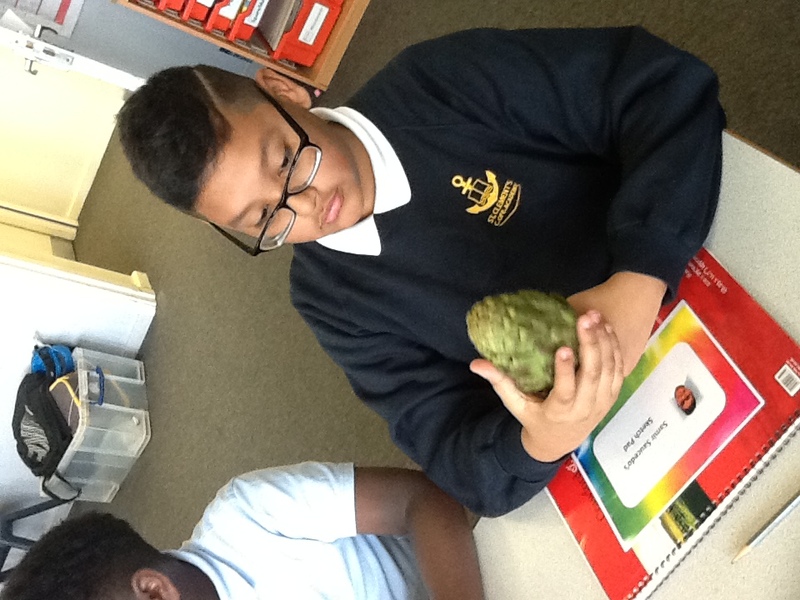 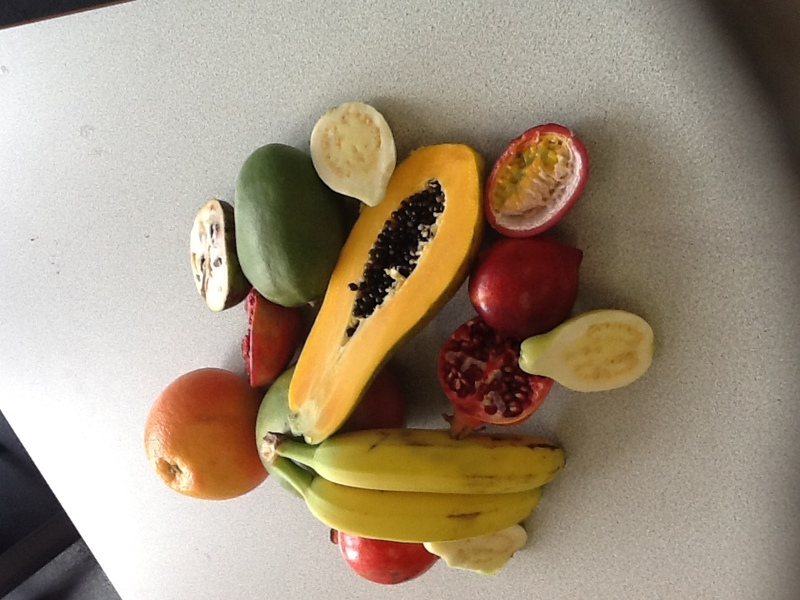 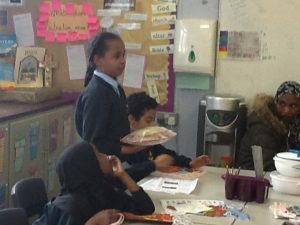 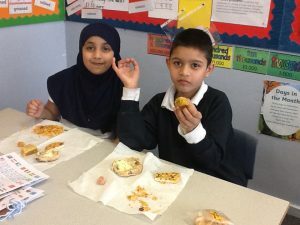 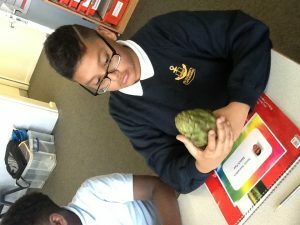 Last week, year 5 had lots of fun fruit tasting as part of International Week. 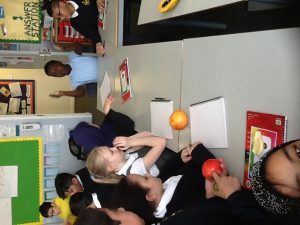 The class was filled with fruit from countries around the world. 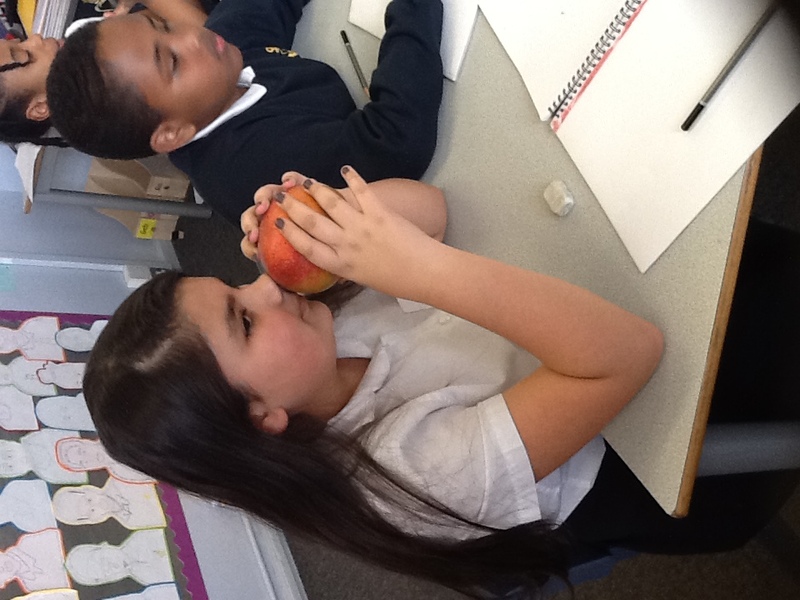 They were adventurous and had the opportunity to touch, smell and taste the different flavours of each fruit. 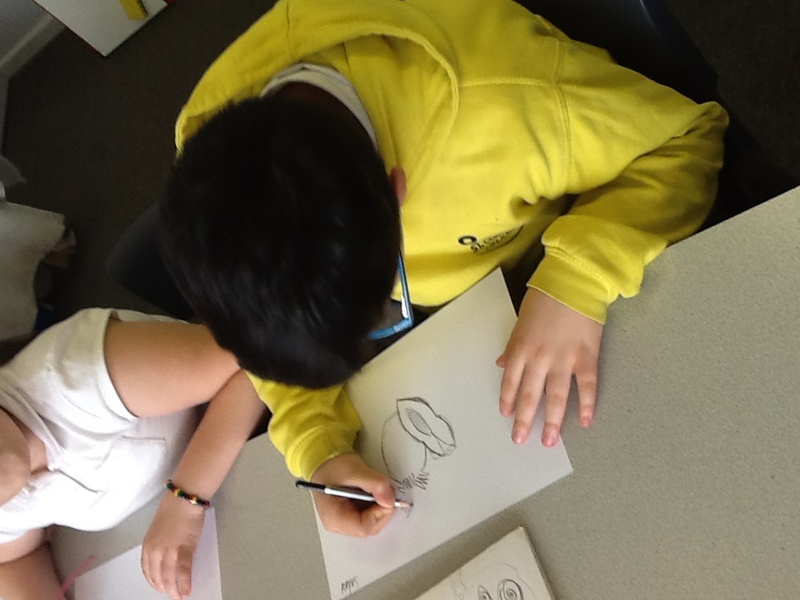 They also created live drawings of fruit. 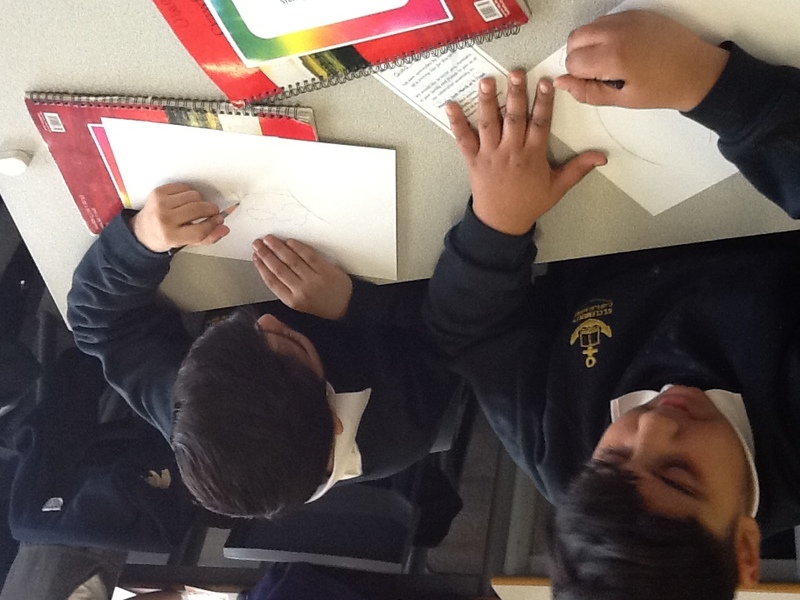 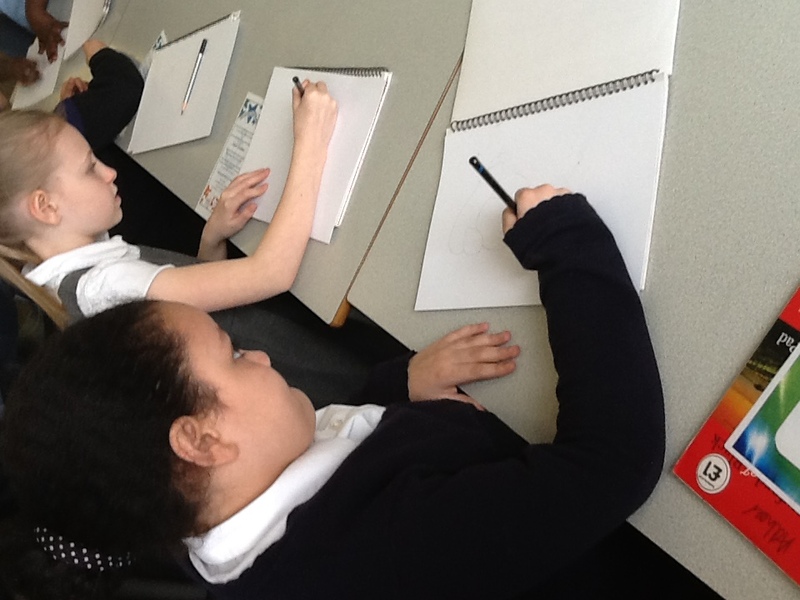 This lesson focused on observational drawing skills using colour. 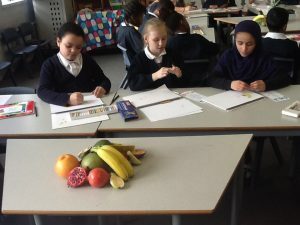 Still live drawings teaches children how to layout a group of various objects such as fruit and how to shade or colour the drawings. how to look at objects and see them like an artist – with a perceptive awareness of their outline, shape, proportions, tone, colour, texture, form and composition. 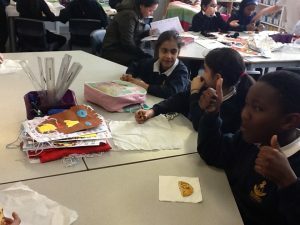 Year 4 had lots of fun exploring a range of different countries, cultures and artwork during International Week in school. 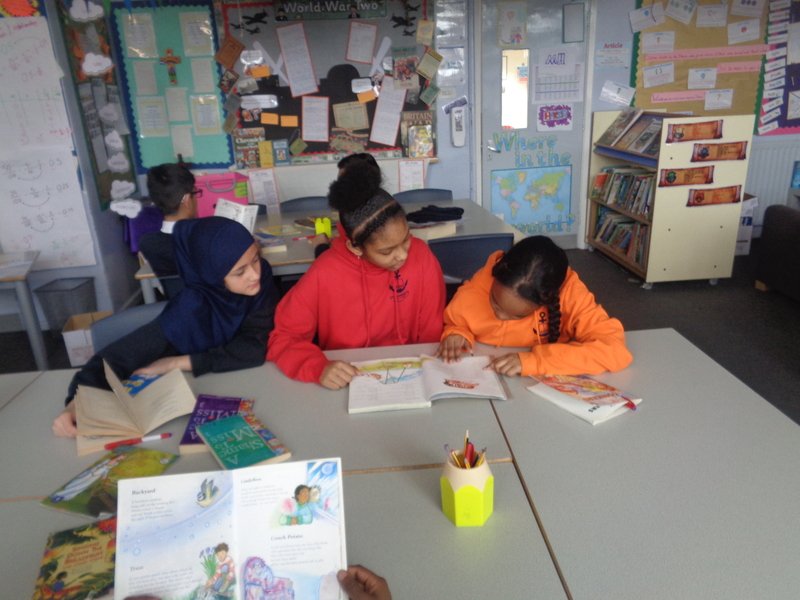 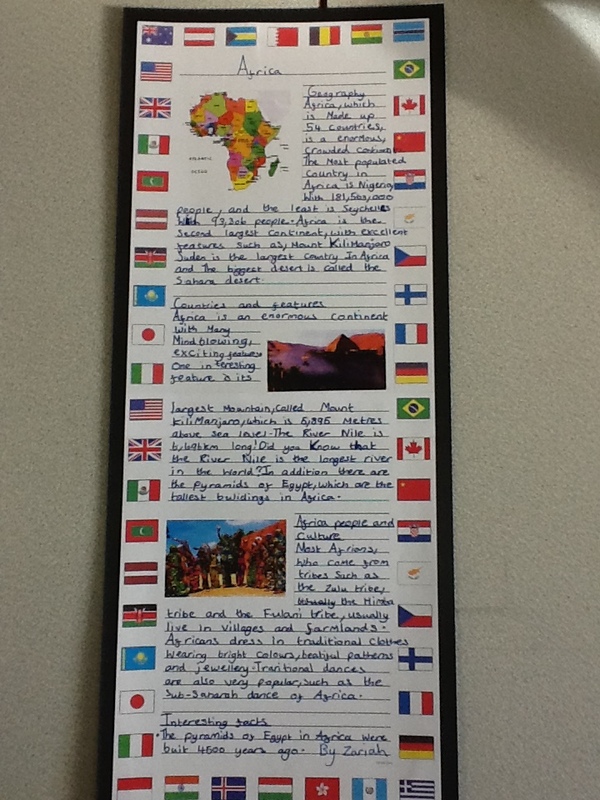 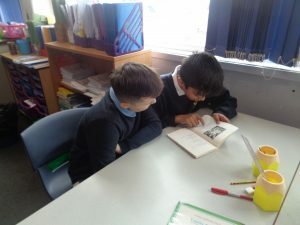 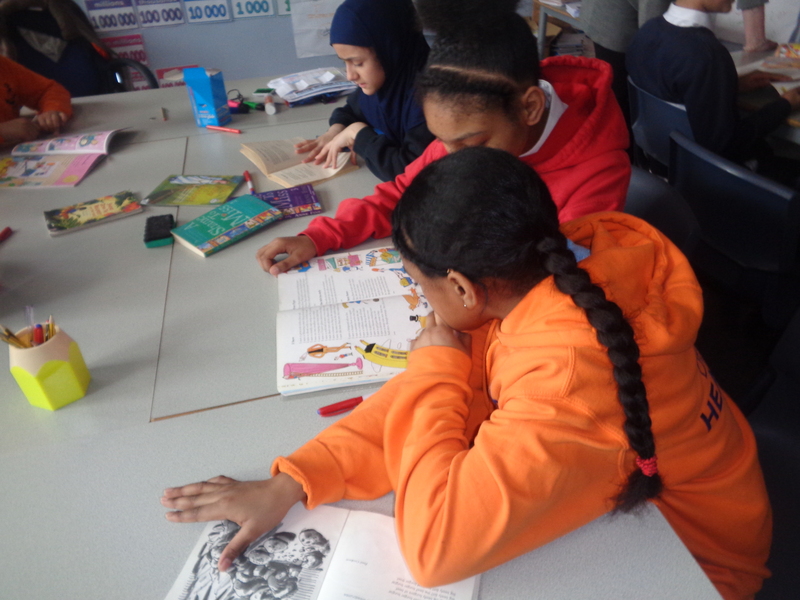 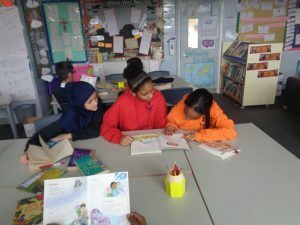 At the start of the week during Literacy children completed research on Africa, Asia and Europe and used their knowledge on these countries to create a non-chronological report on each country. Later on in the week, children brought something into school which they felt represented the country that they or their family were from. 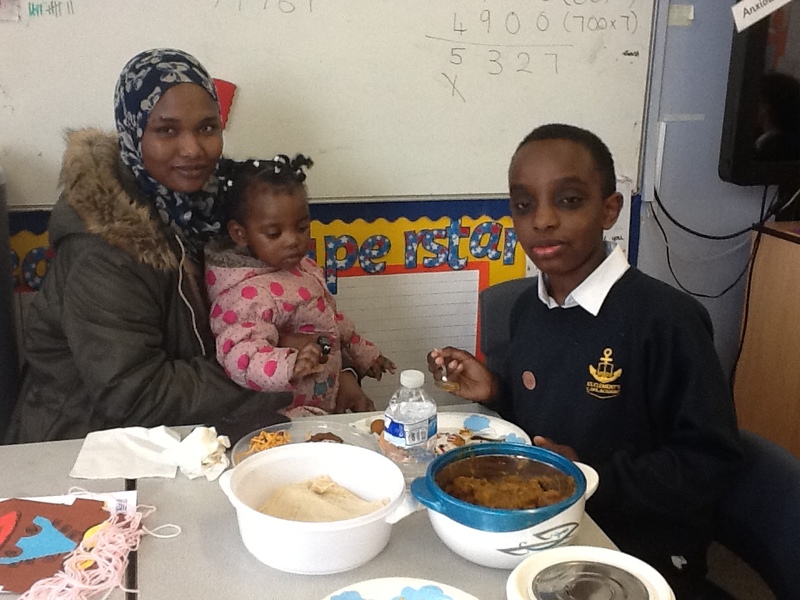 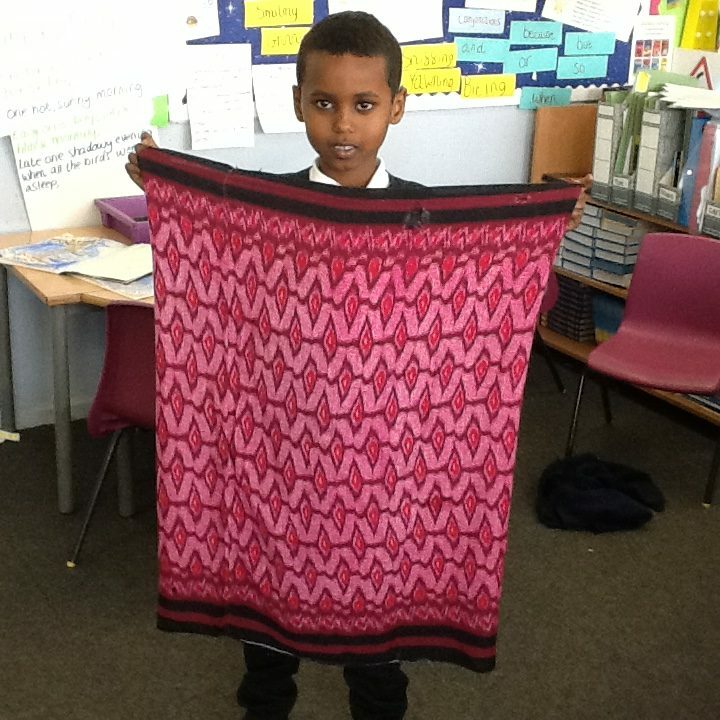 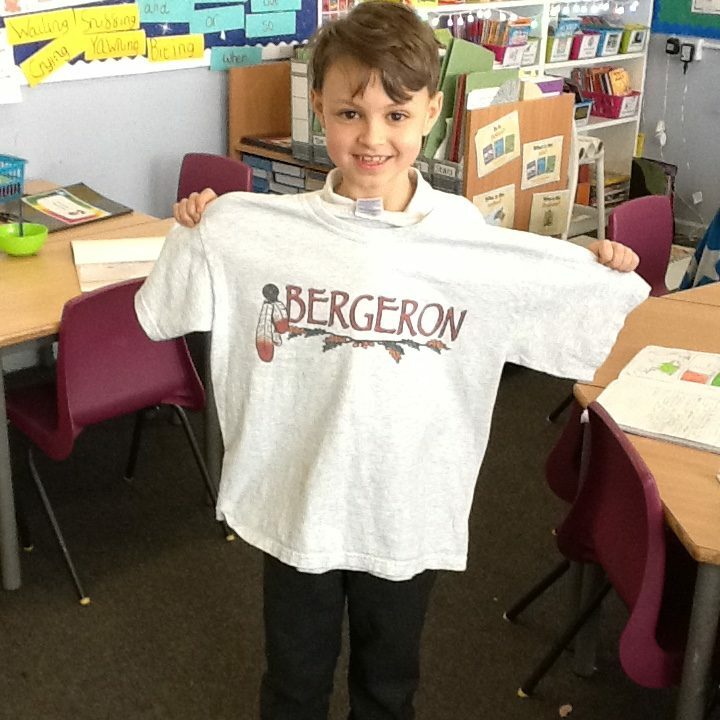 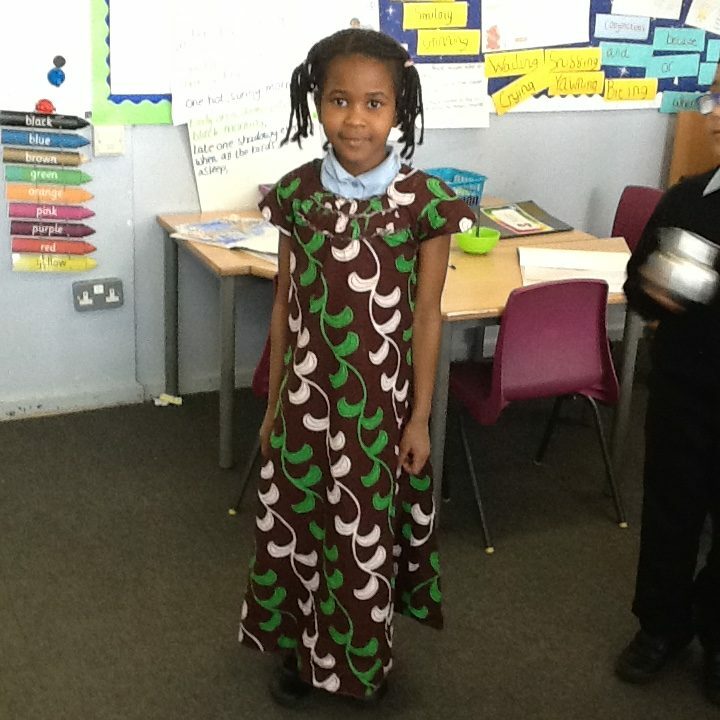 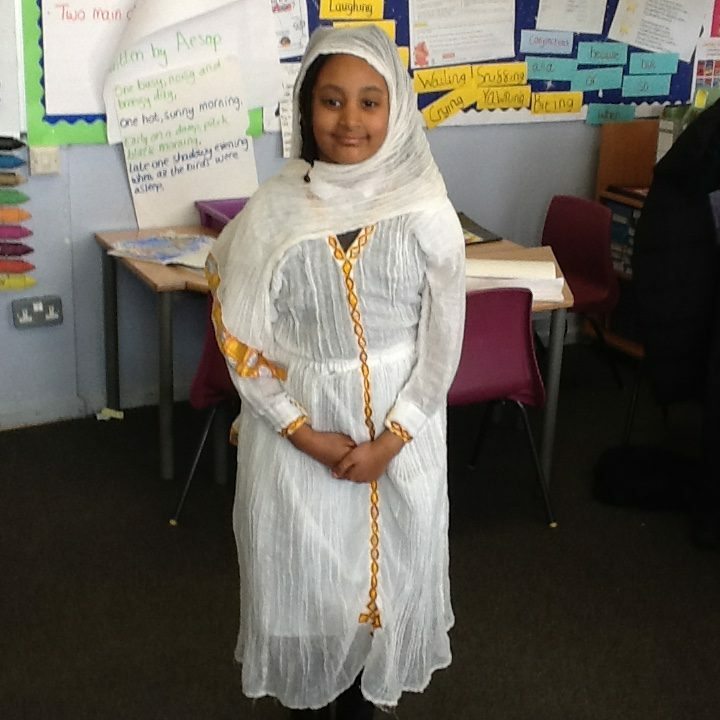 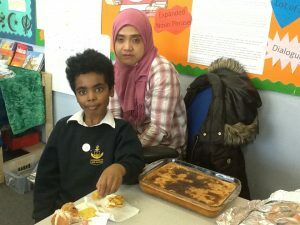 Children brought in a variety of different lovely things from artefacts and food to traditional clothes. 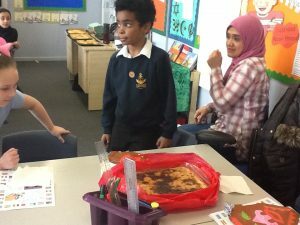 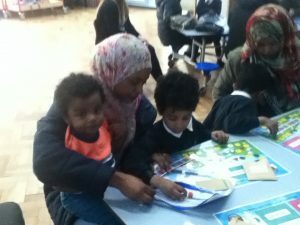 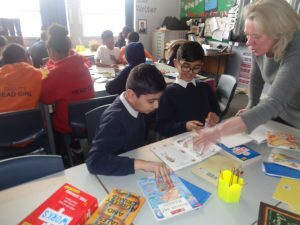 Parents were also invited to take part in our session and everyone thoroughly enjoyed learning more about the international countries that our class members are from. 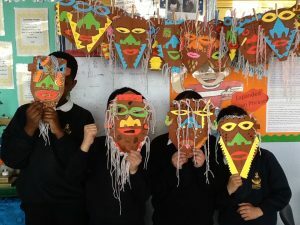 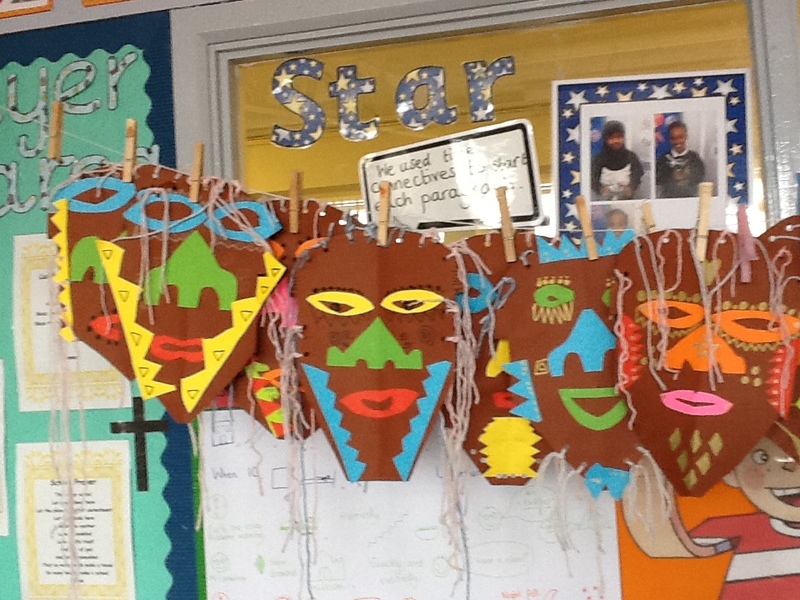 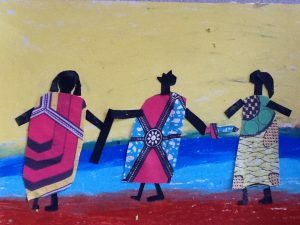 During the end of the week, children created some wonderful artwork and developed their creative skills by making their own African masks and artwork. 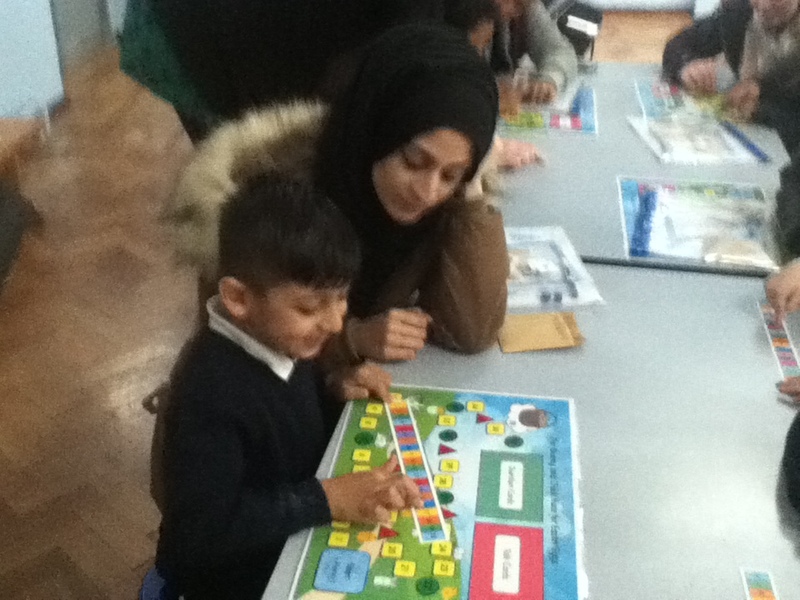 Thank you for all the parents and carers who attended our workshop! 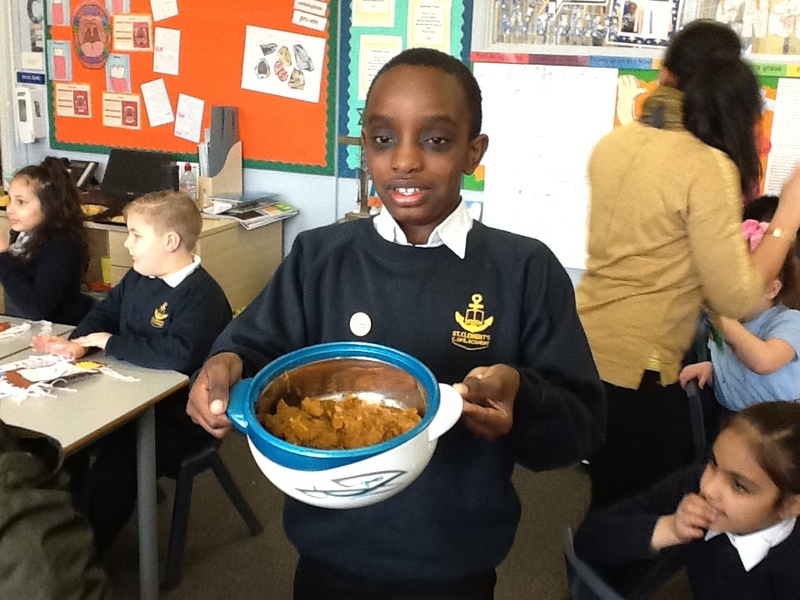 We hope you enjoyed it and found it helpful. 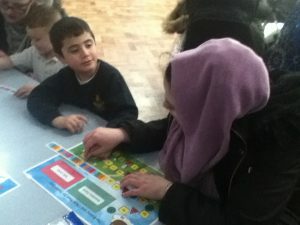 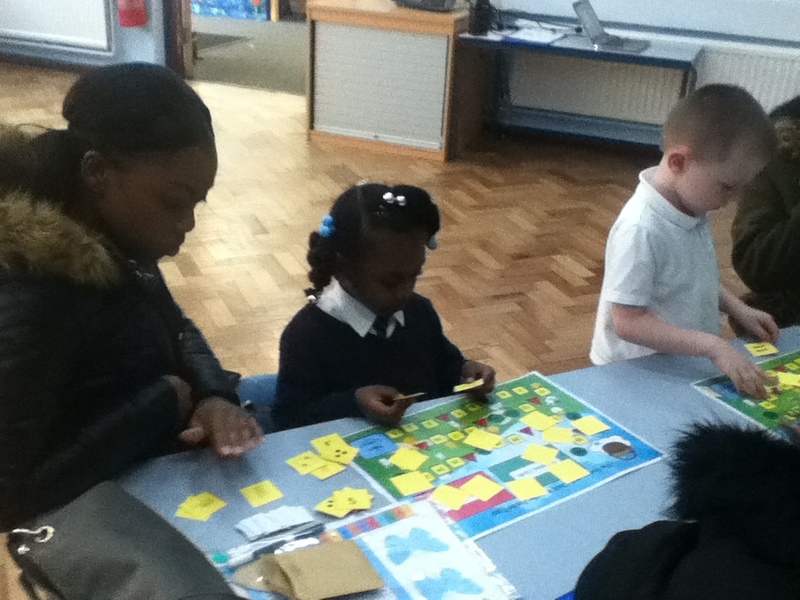 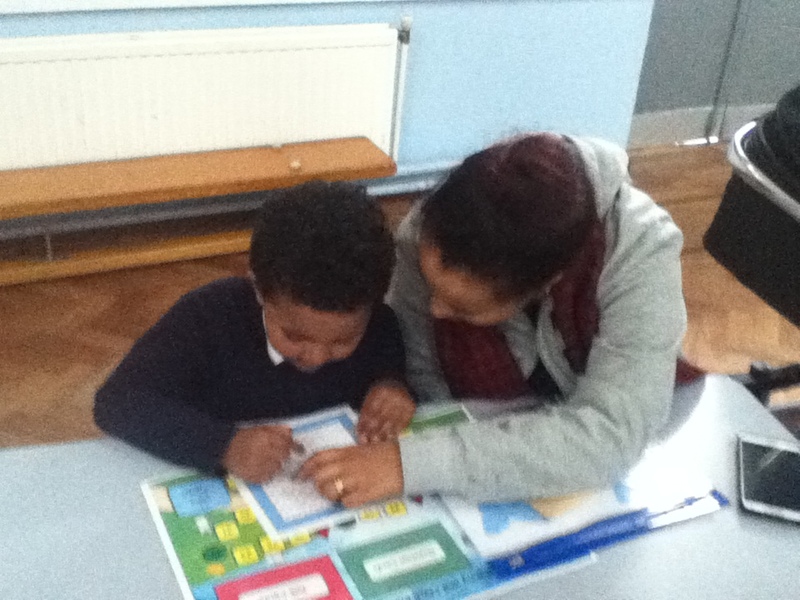 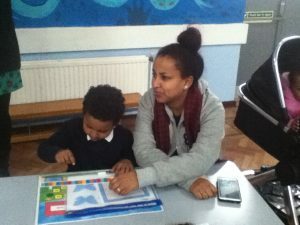 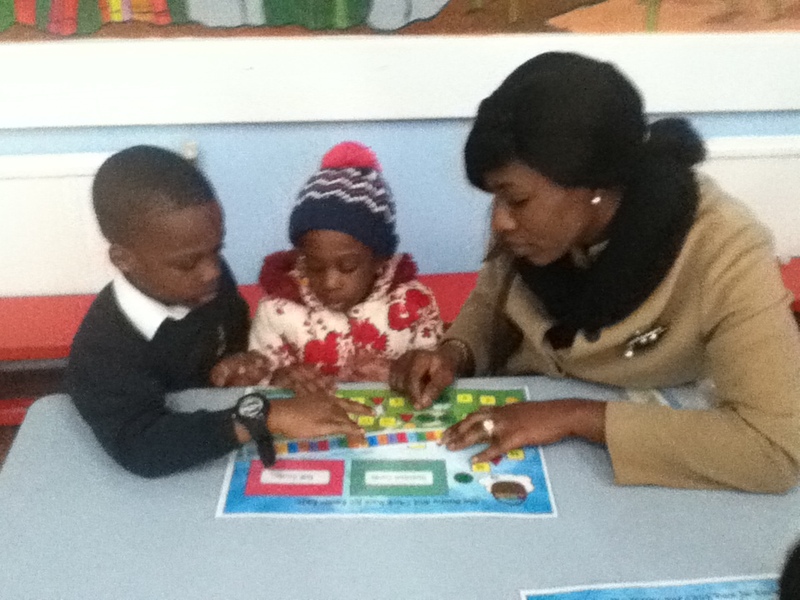 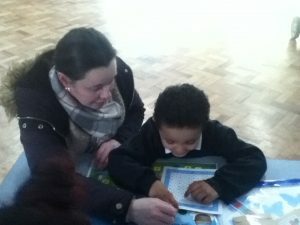 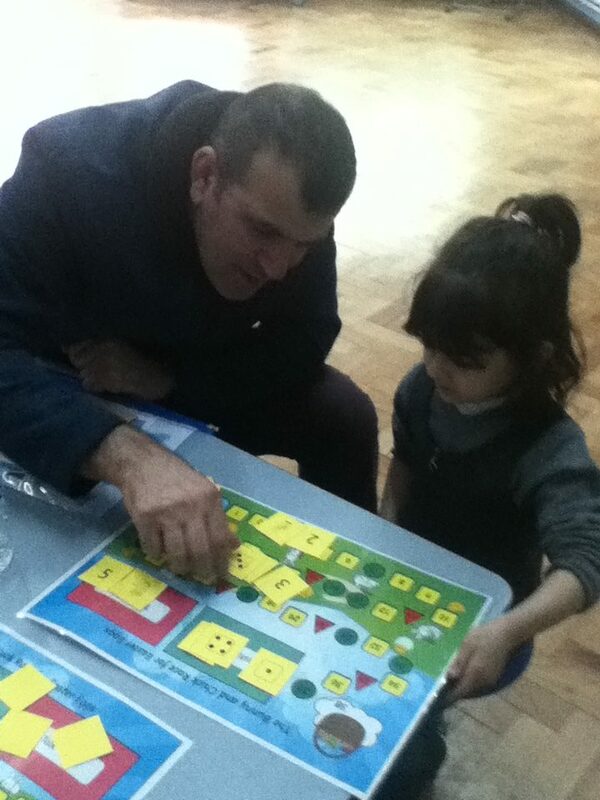 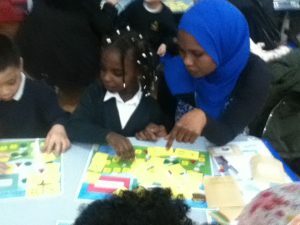 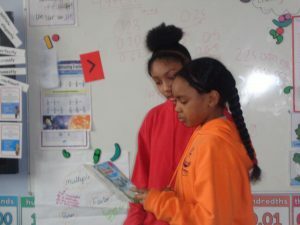 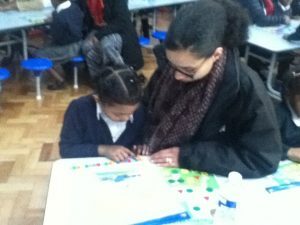 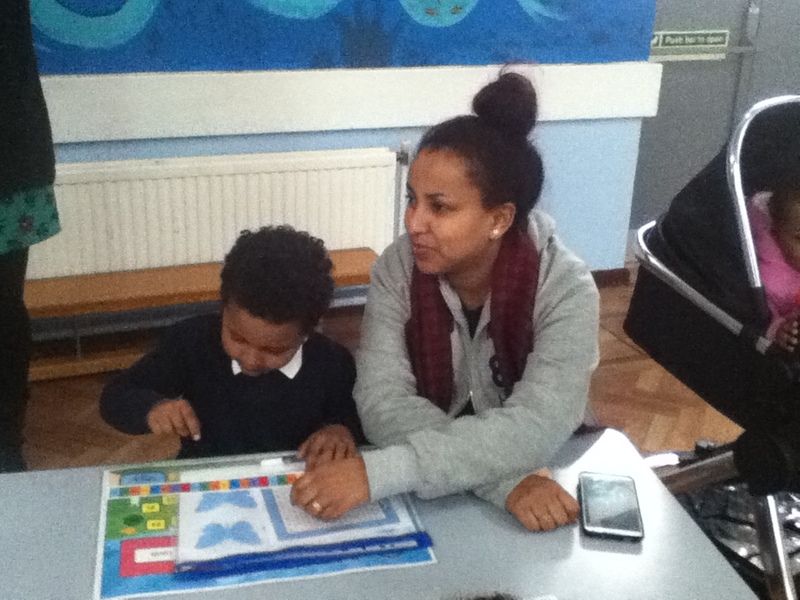 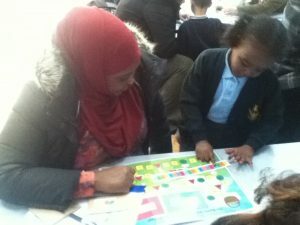 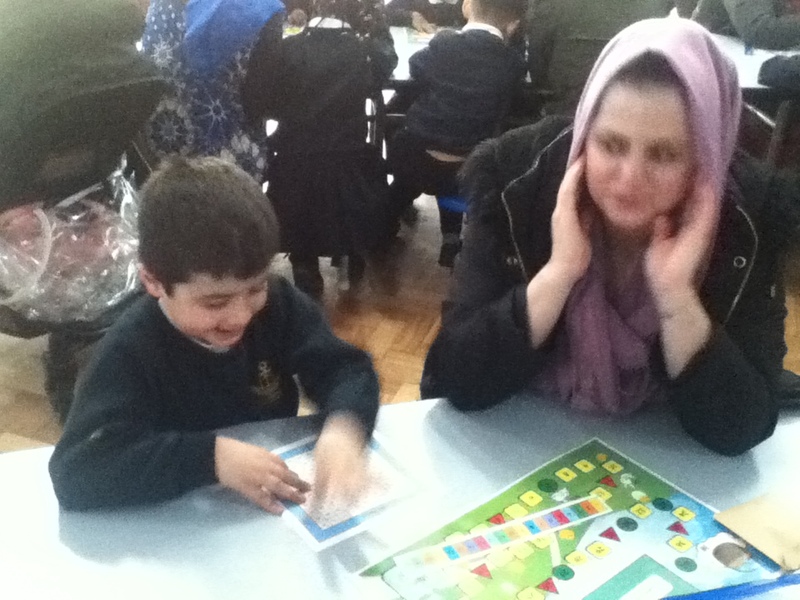 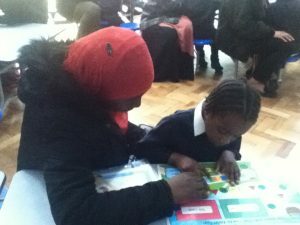 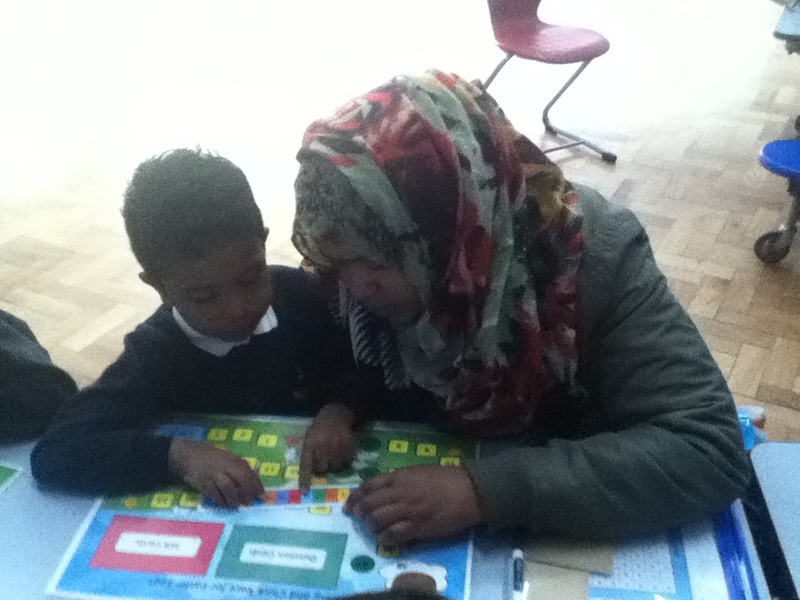 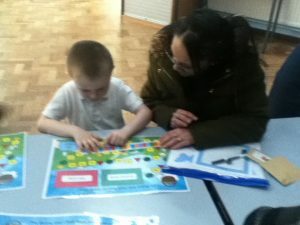 The children really enjoyed playing the Maths games and showing their books off after. 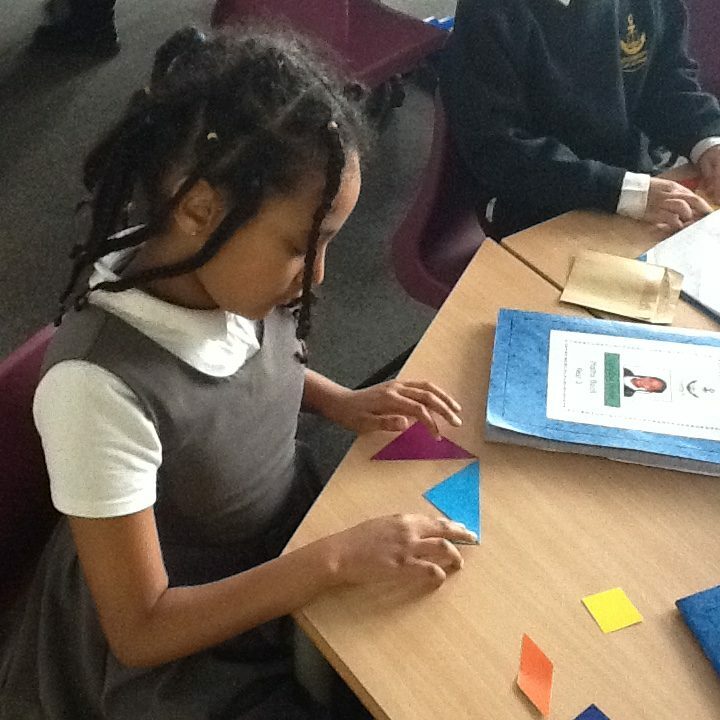 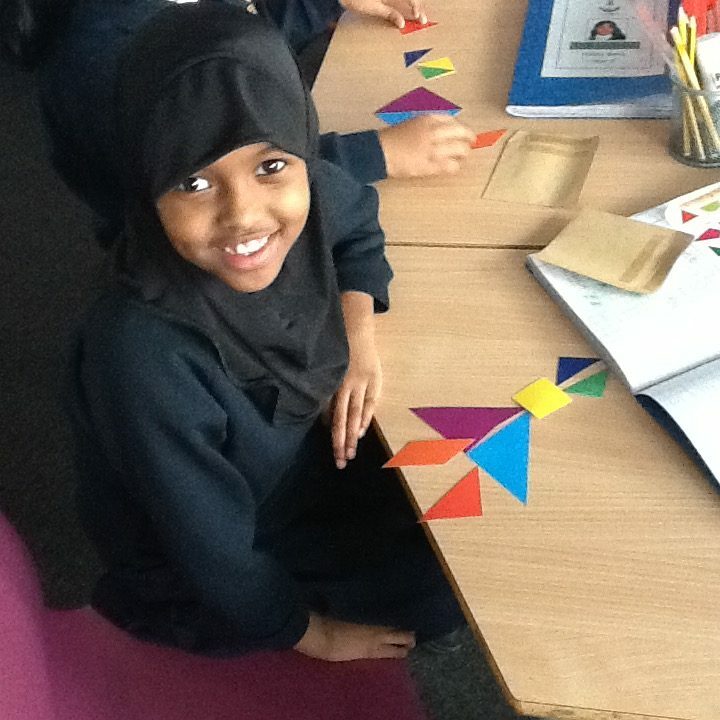 After learning more about 2D shapes, Year 3 put their knowledge to solving shape puzzles in the form of Tangrams. 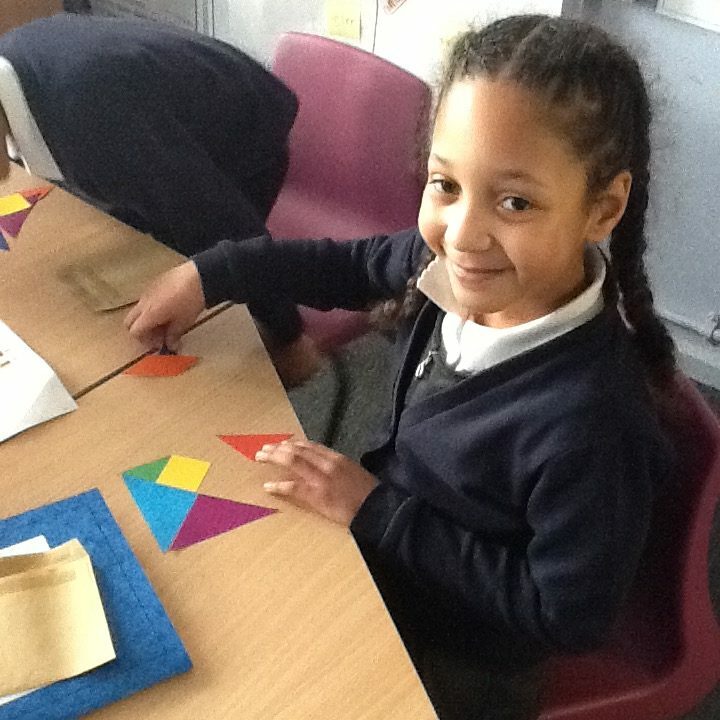 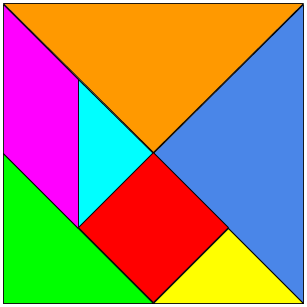 Tangrams are ancient Chinese puzzles where you create pictures from a set of 2D shapes. 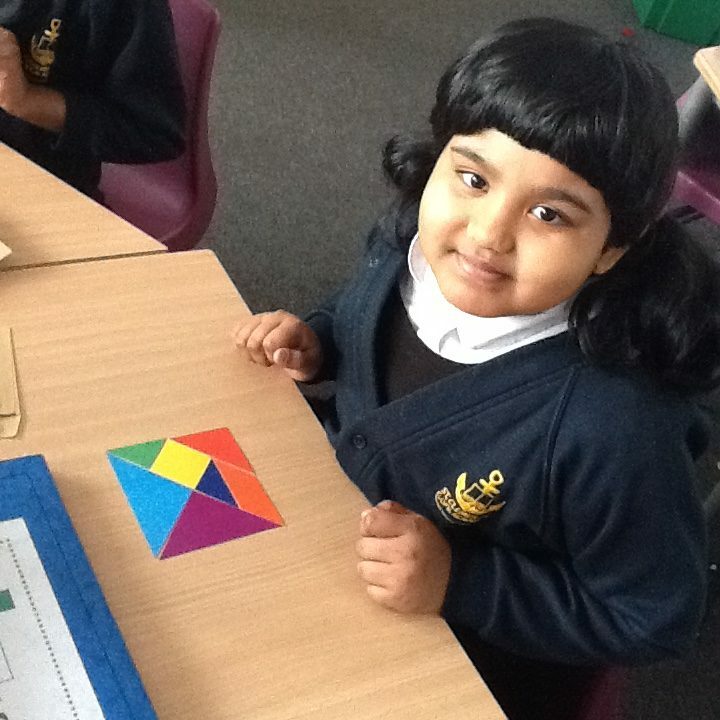 The first challenge after naming all of the different shapes and their properties was to rebuild the square, it was a lot harder than you think! 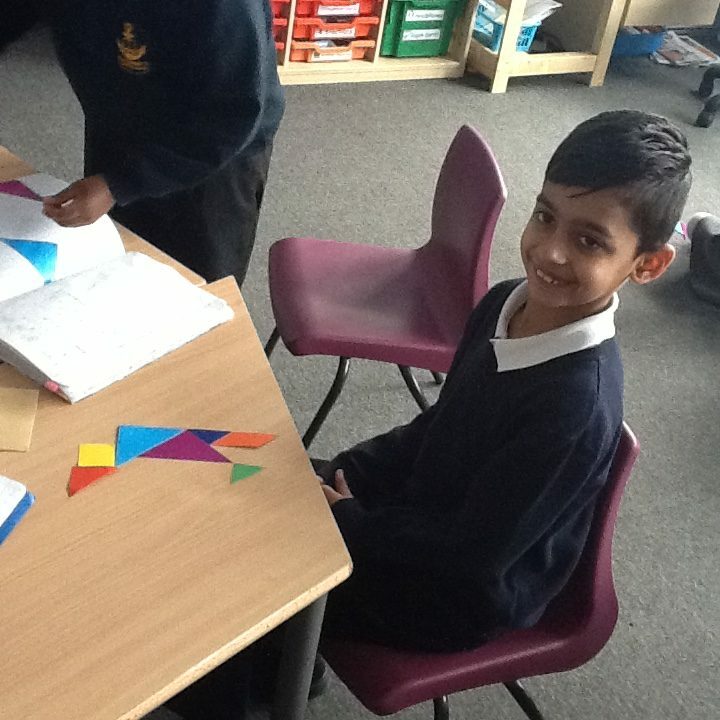 The next challenge was to create an animal from the same pieces. 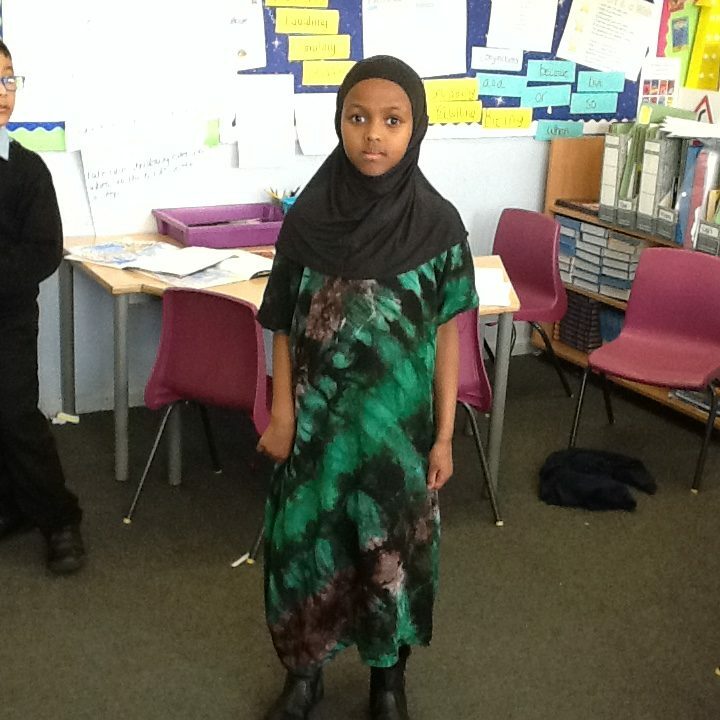 Can you recognise what Year 3 created? 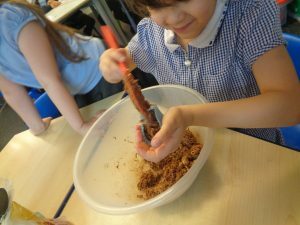 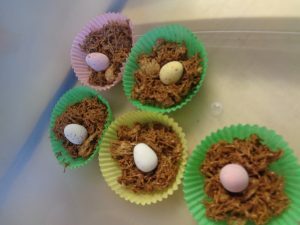 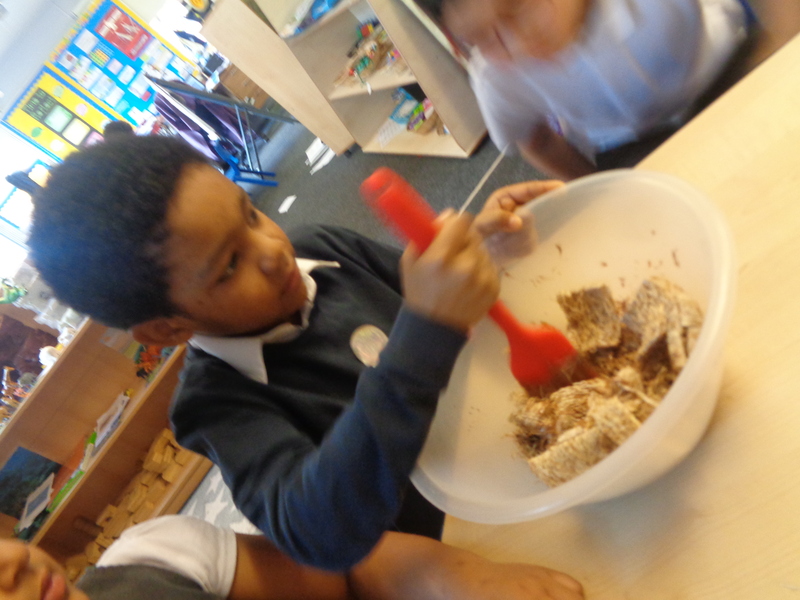 In Year 1, we made chocolate nests. 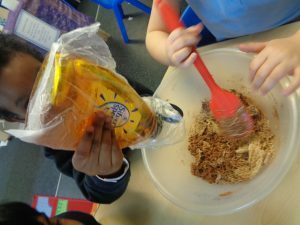 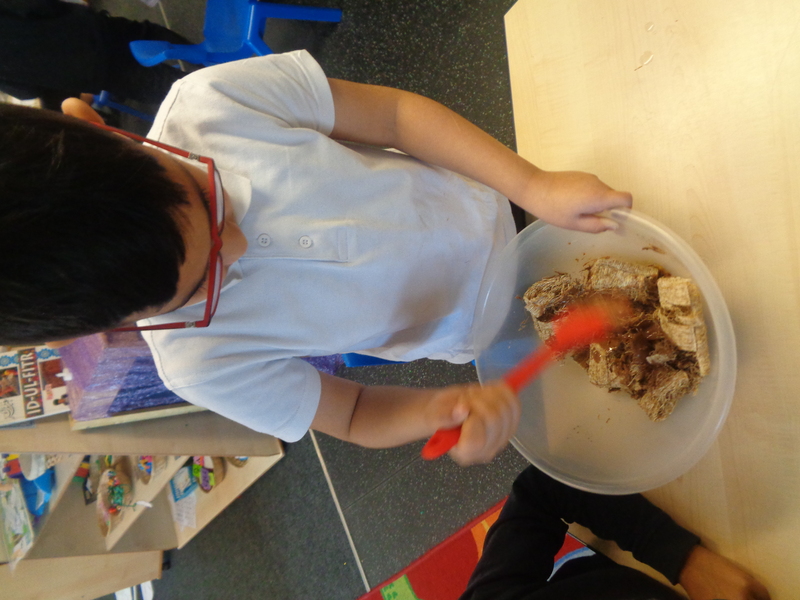 We thought about what we used to make them and wrote lists to know what ingredients we needed, if we were to make them again. 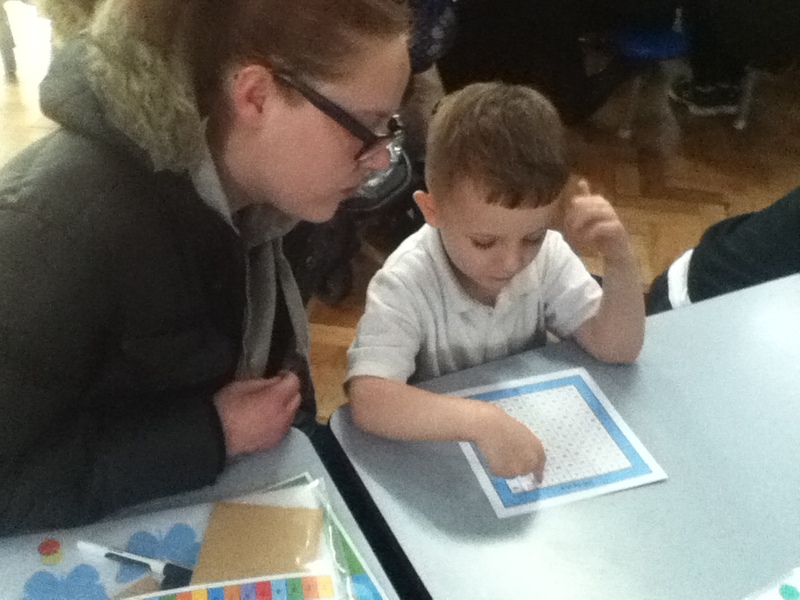 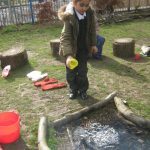 We then wrote instructions to explain to Reception and Year 2 about how to make them. 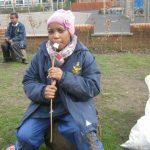 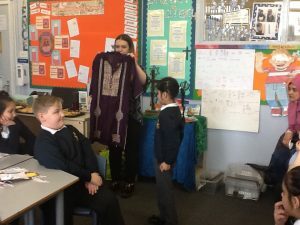 Throughout International Week 2018, Year 3 have travelled across four of the seven continents. 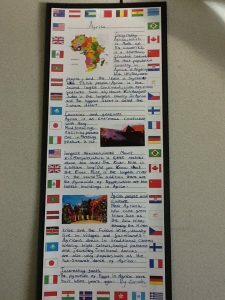 Each day the focus has been on a different continent and the children have carried out their own research to find out more about Europe, Asia, North America and Africa. 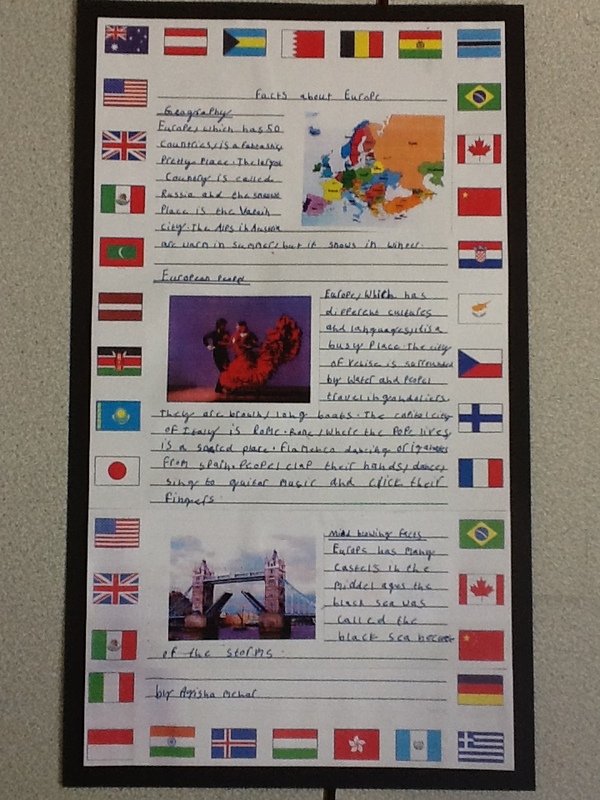 This research has then informed recount writing in the style of a travel diary. 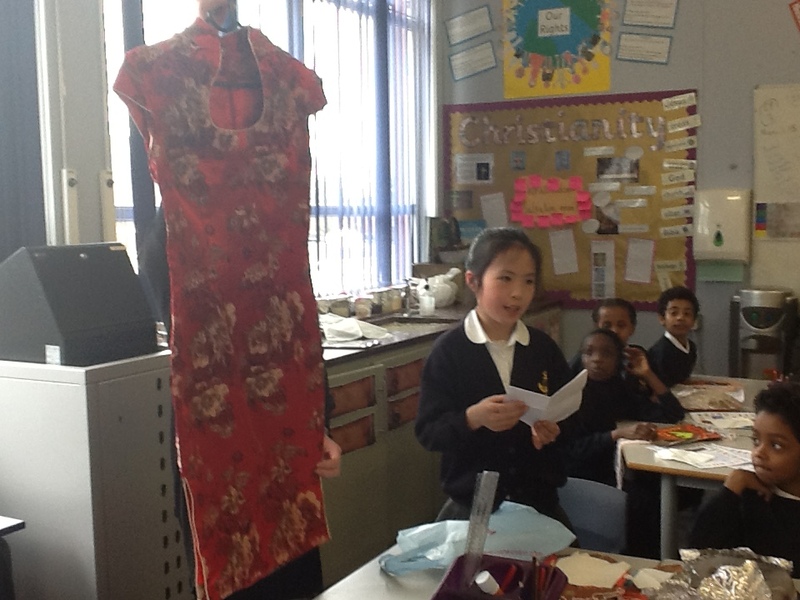 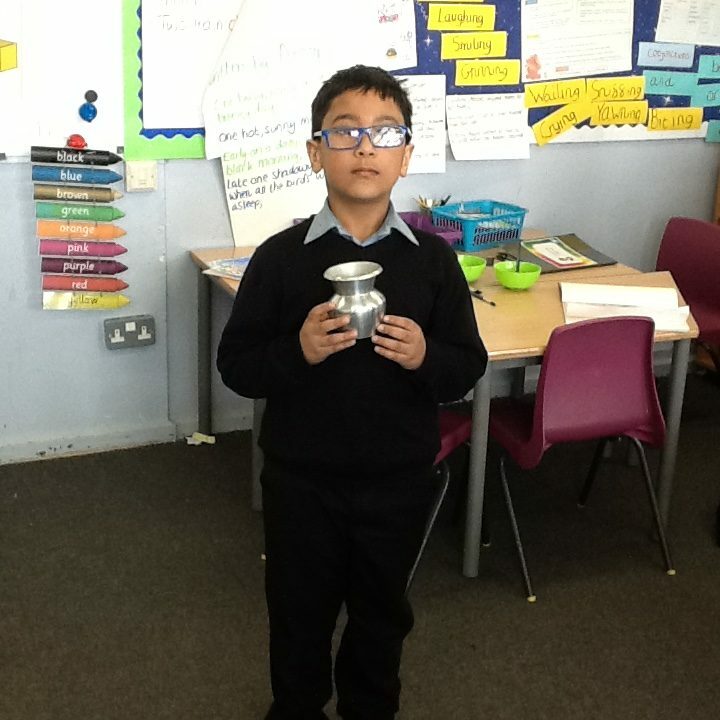 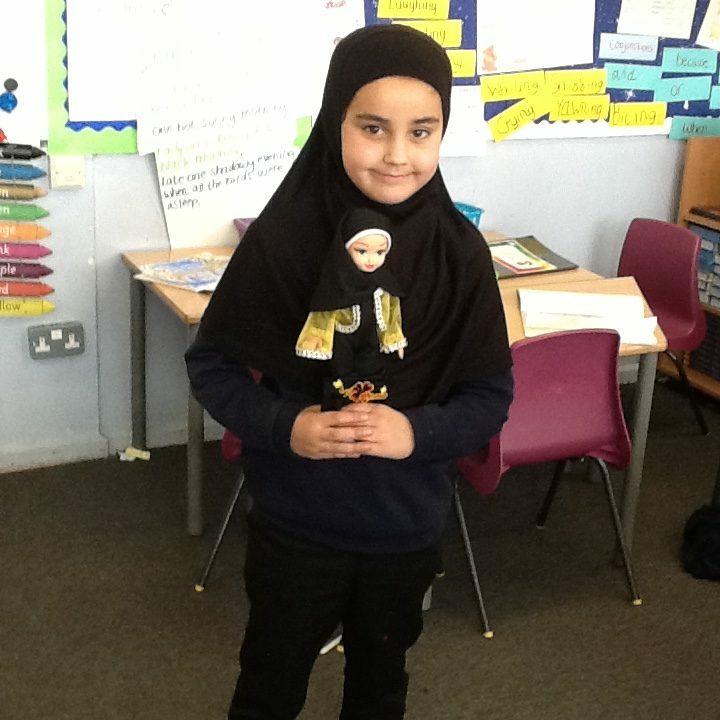 Year 3 have also shared artefacts from their own cultures and heritage. 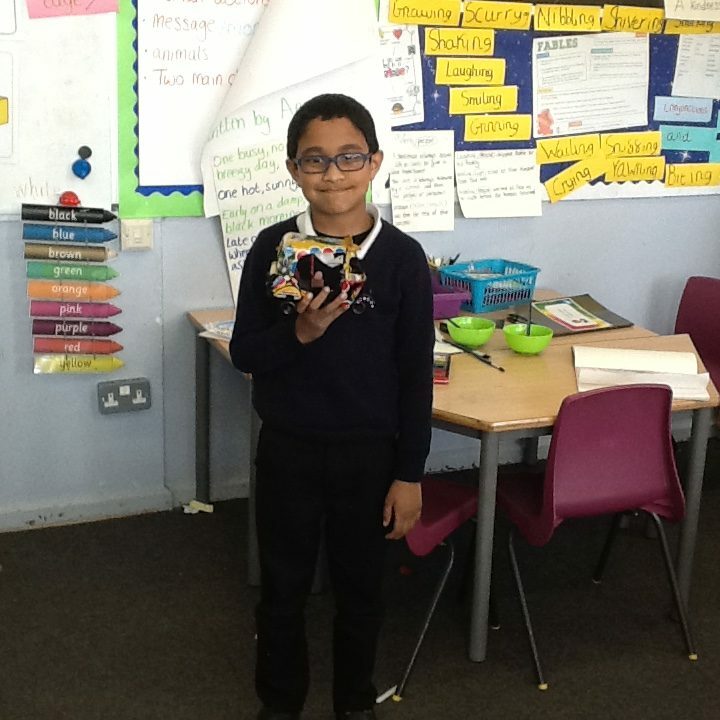 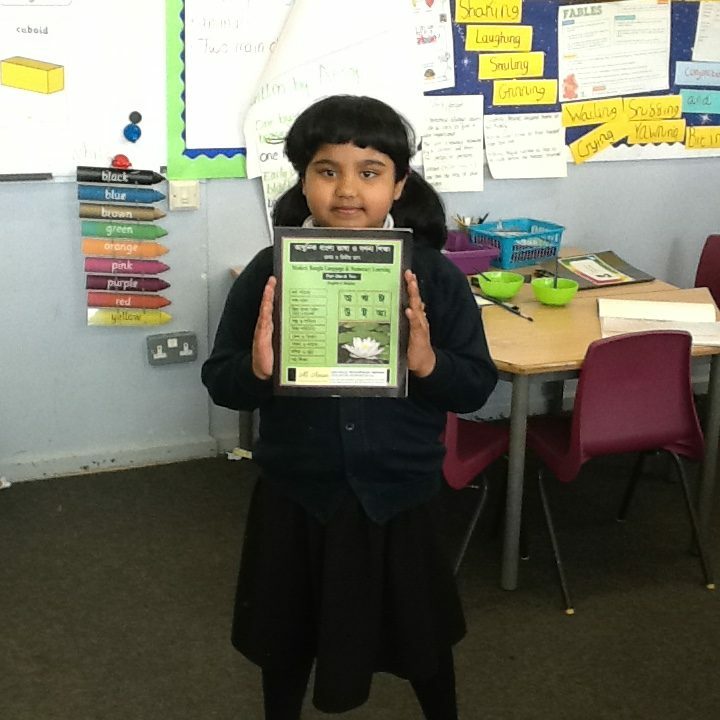 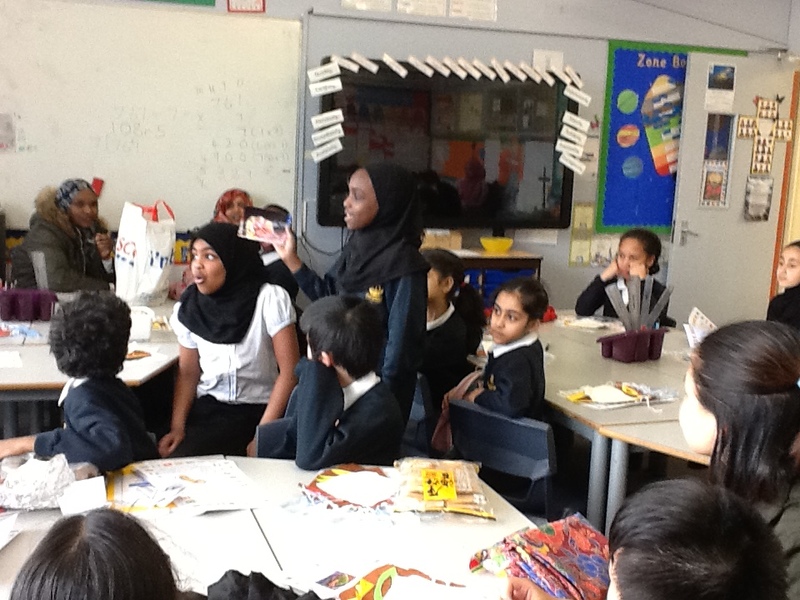 The children were very knowledgeable and were able to confidently present and explain what they had bought in. 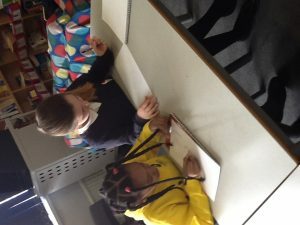 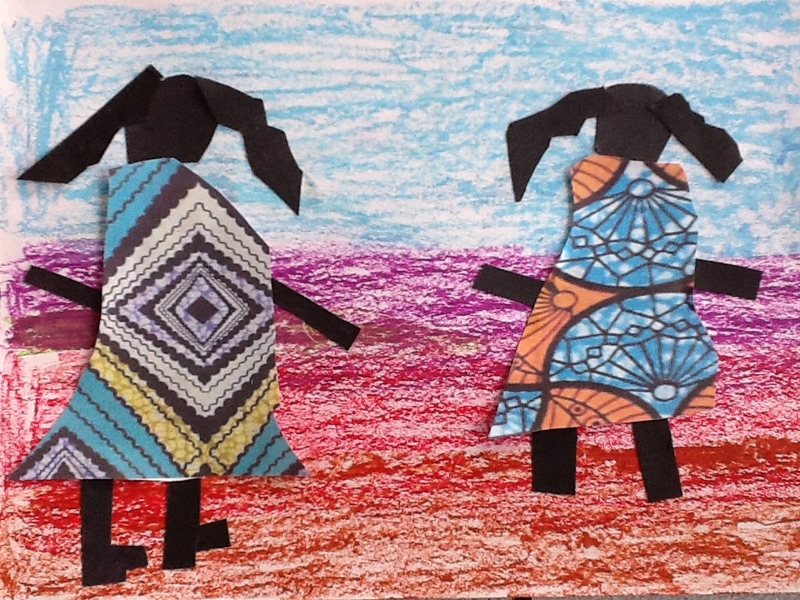 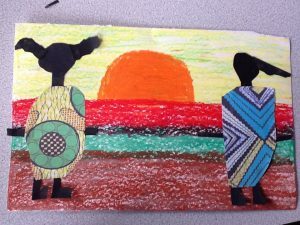 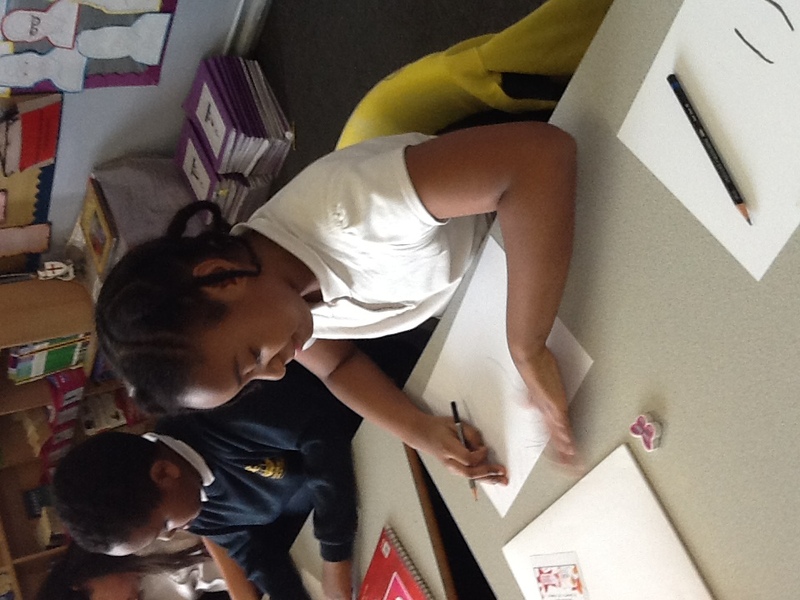 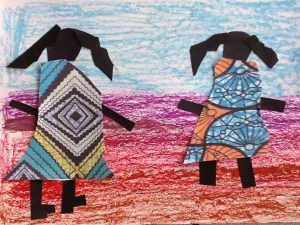 Year 3’s art focus was on the Zimbabwean artist and illustrator Phillipa-Alyce Browne. 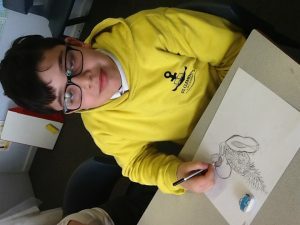 After sketching an animal, Year 3 used a range of media to add bright, vibrant colours and traditional African patterns to their sketches. 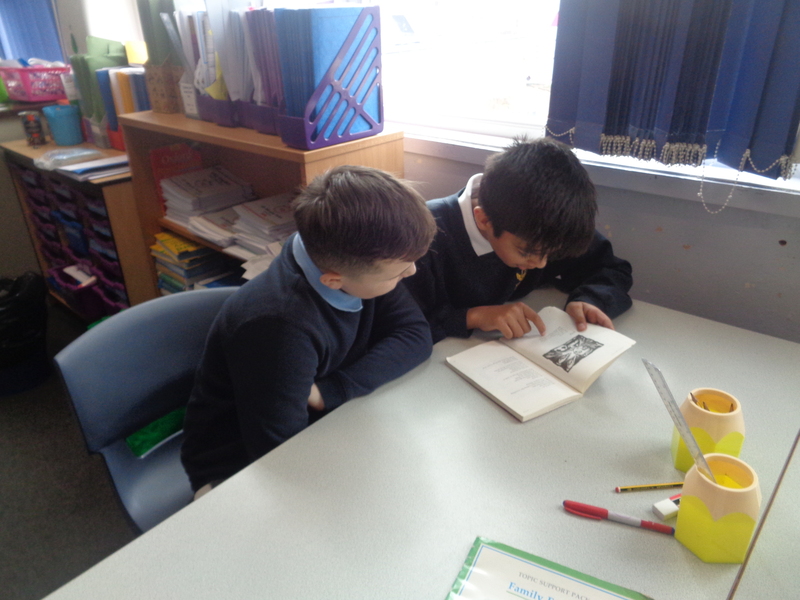 For the next two weeks Year 6 are studying poetry. Looking the language features and the structure of different styles of poems. 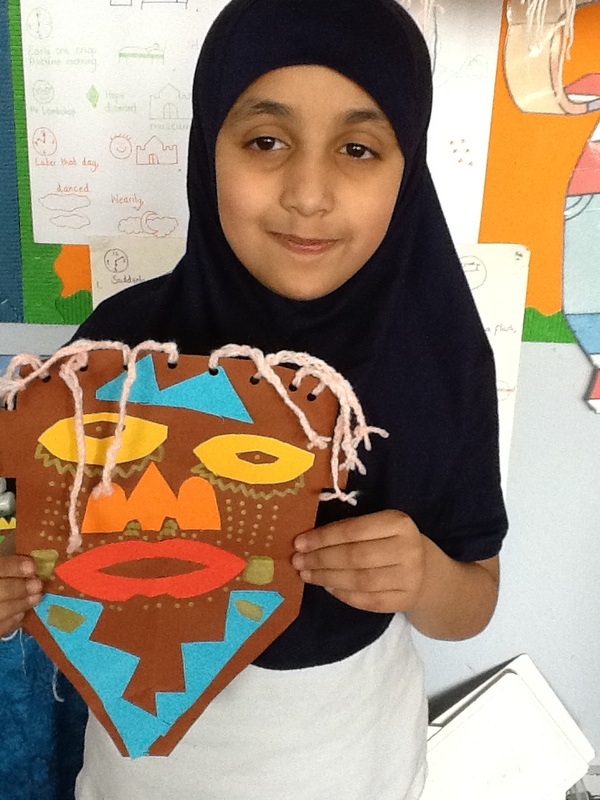 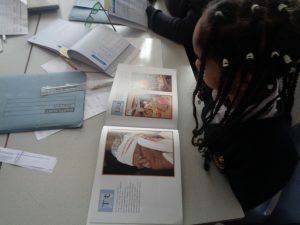 The children have been looking at poems which reflect their culture and heritage . 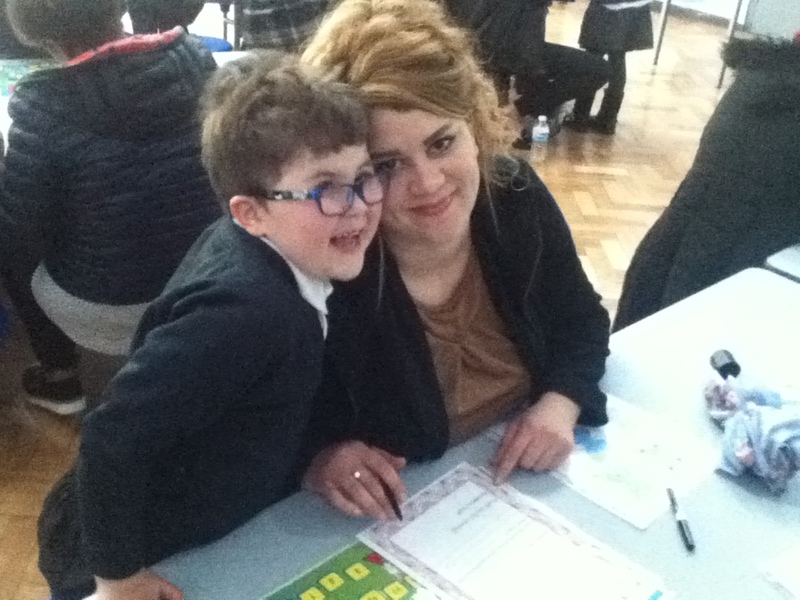 Some children even asked their parents to write poems in their native transcript. 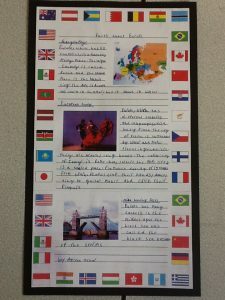 We have Polish, Dutch, German, Italian and Arabic poems. 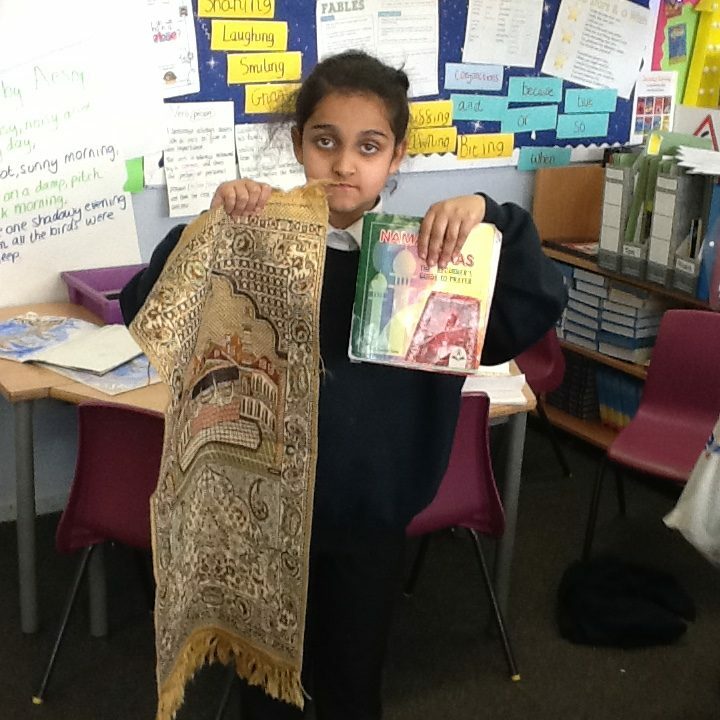 The children were confident reading these aloud in class too. The children were very good at remembering the fire safety rules. 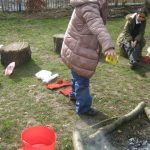 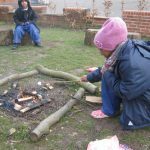 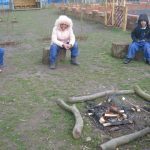 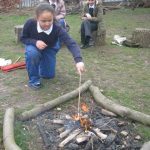 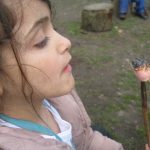 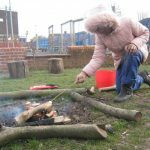 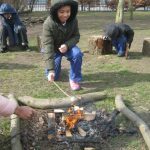 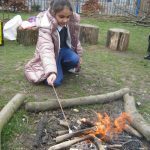 Everyone enjoyed themselves, some children discovered that burnt marshmallows are not very tasty! 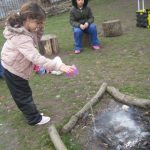 When toasting marshmallows it is important to kneel in the ‘respect position’ with one knee down and one knee up. 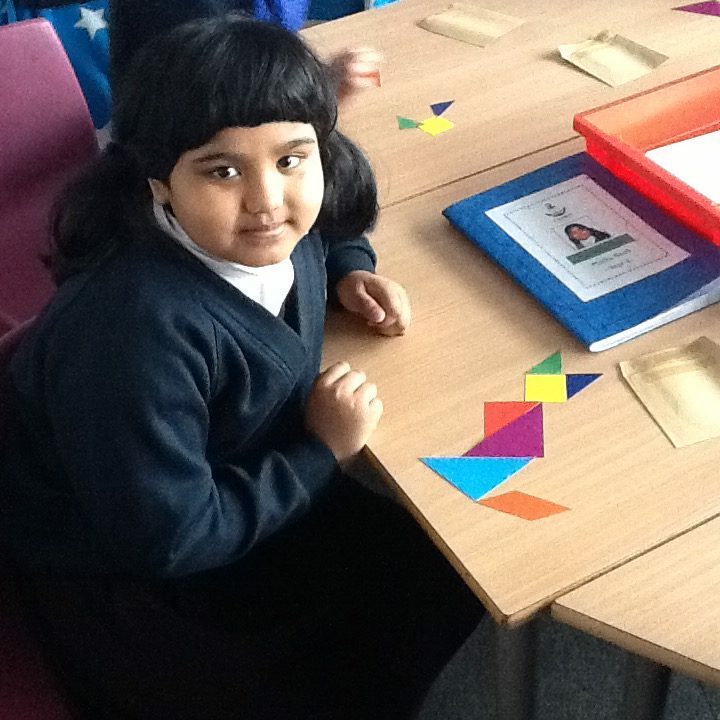 This is a stable position and it is easy to get out of the way quickly and safely if necessary. 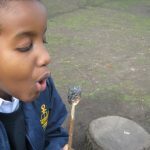 After the marshmallow is toasted it is still very hot so we needed to blow it 20 times before we ate it! 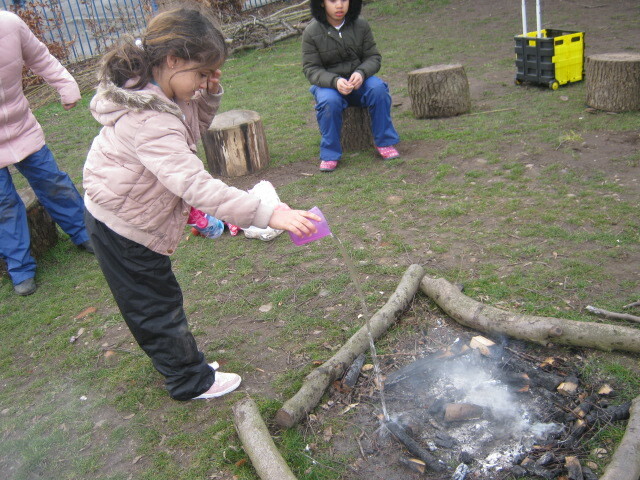 Finally we poured water over the ashes to make sure the fire was completely out. As we did this we made a wish.